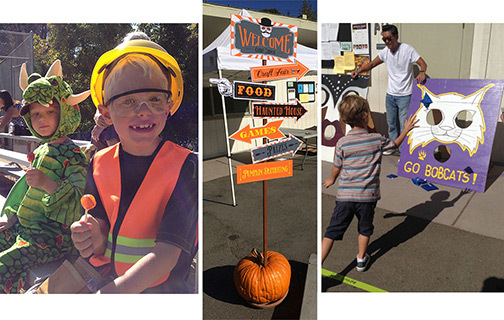 Sunday, October 25, 11 am – 3 pm at Chabot: Come join the fun with new games, food, prizes, music and crafts. The Carnival offers a variety of games for kids of all ages, a Jumpy Slide, pumpkin decorating, sugar skulls and prizes. Entertainment includes Jeremy the Juggler, music by DJ Spooky & Ms Terror Down, and a silent costume contest. Enjoy a family lunch at one of the food stations: El Tonayense Taco Truck, Cybelle’s Pizza, or our famous Dad’s Club hot dogs. There will also be a Benefit Bakesale, Jittery John’s Cold Brew Coffee, and Ice Cream Sodas sponsored by CREAM. Thank you to our generous sponsors: Open Homes Photography, Tom Nitsan with MPR Financial, Ruth Goldstone of Marvin Gardens Real Estate, Dental by Design, Jeff Robarts of The Grubb Co, Sweat Health & Fitness, Jittery John’s Cold Brew Coffee, and CREAM. This is a fun event for volunteers, and we could use your help! Please sign up here. For complete information visit the Fall Carnival web page.